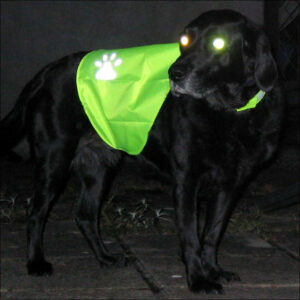 For when you don’t want to be seen – the ‘Forester’ helps your dog keep a low profile! 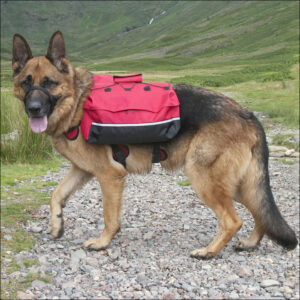 For a couple of years we’ve been selling a range of coats and jackets which get your dog noticed. 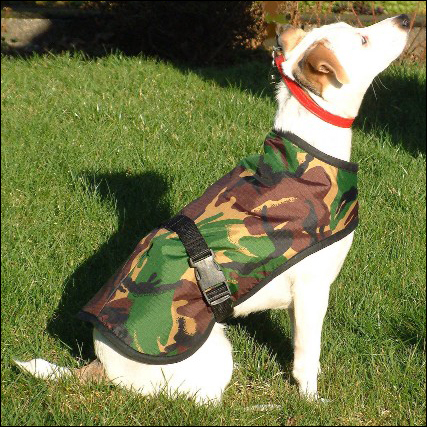 Now we’ve got jackets to keep your dog hidden too. And warm! These durable, water-resistant, lined jackets are the perfect solution when you want to remain unseen. 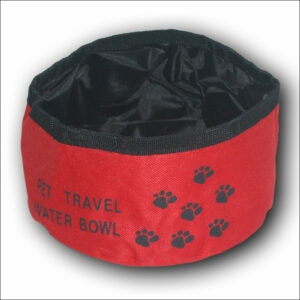 Not only will you dog stay dry but also the thick fleece lining will ensure s/he stays warm too. The jackets are simple to fit. Around the front of the chest the two adjustable panels are overlapped as required to suit the dog and then velcro’ed together. The outer camouflage nylon and inner bottle green fleece are attractively finished in a black edging tape. The ‘Forester’ camouflage coat is designed for quality, practicality and durability. A dart along the rear of the coat ensures that the coat fits snuggly on the dog. Now look at the table below. Identify the measurement closest to your dog’s length. 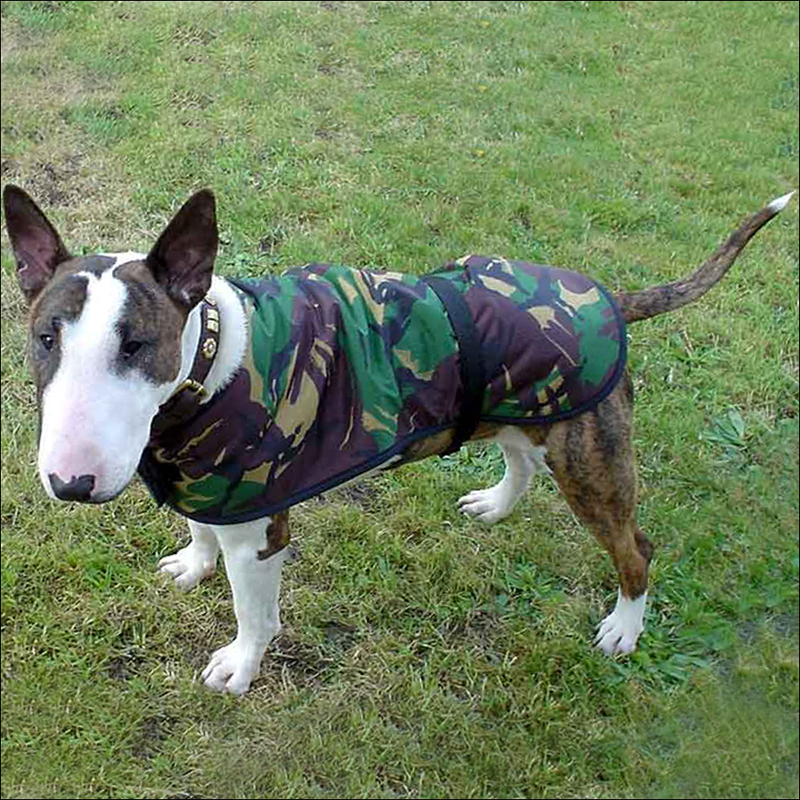 A coat which is an inch too long is better than one that is an inch too short – unless your dog is a breed which has a tail which sticks up, in which case it will be better for the coat to be a little short. 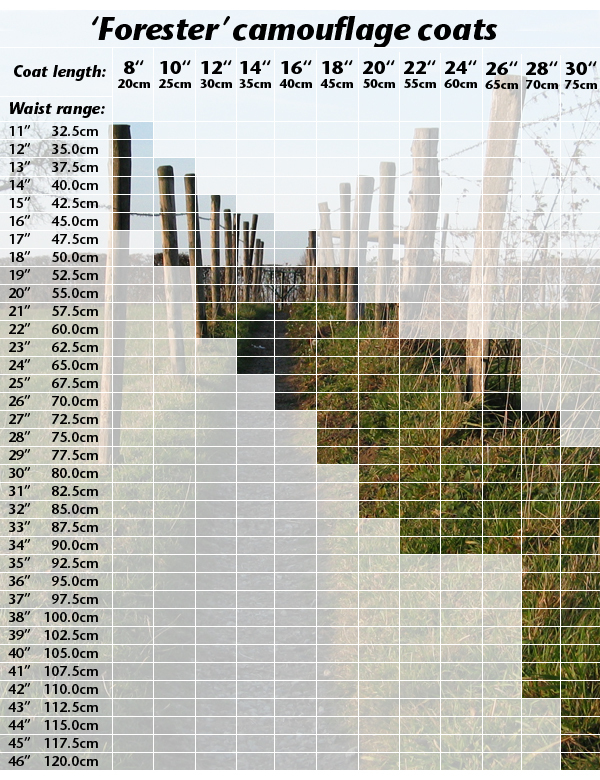 Having identified the best length measurement, now check the waist range for that size coat. Your dog’s waist measurement will need to be within that range. 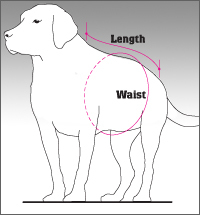 If your dog’s waist measurement is outside that range then consider increasing or decreasing your choice of coat length. Customers’ dogs, all dogged up in their ‘Forester’ coats and ready to face the worst the elements can throw at them! Illustrated on the page linked below are the wide range of sizes of these ‘Forester’ coats. 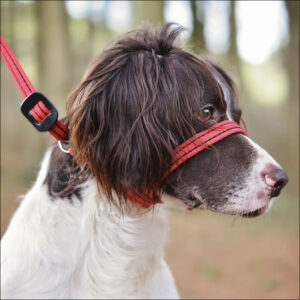 If you’re not sure which size is most suitable for your dog, perhaps the photos on these pages will help you.